So once again the lovely people from Marvelous were willing to provide yours truly with a review code for their latest port, Valkyrie Drive -BHIKKHUNI-. I will admit I am a bit late to finishing this review but as you read it you will understand why. The premise of the story is a simple one. ..
It’s finally here, 14 months after my order. The almost vaporware Retron 5 has arrived meaning I can finally hark back to my youth, kick back and play some retro games. Of which I have built up a small collection in the many months since ordering. 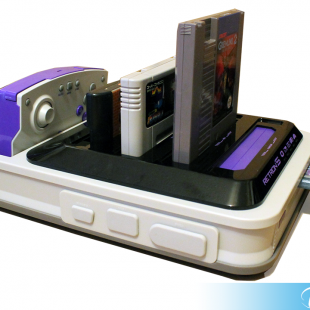 The Retron 5 is a console that despite its name ..